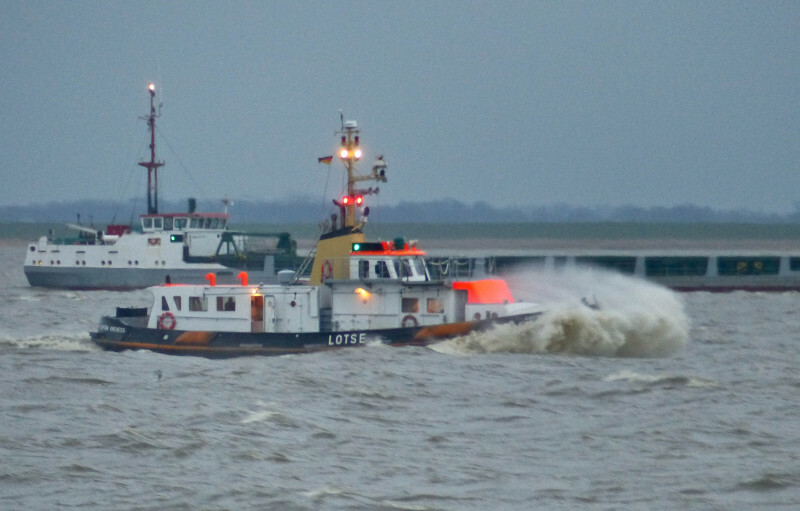 Pilot boat "Kapitän Kircheiss" fighting wind & waves on the river Elbe off Brunsbüttel ferry terminal. Spotted in the late afternoon of 29.01.2016. Thank you Clyde for your kindness, I can assure you that with regard to the weather conditions it was just as you imagined. The wind blew straight from ahead and made it almost impossible to keep the camera steady. Nevertheless i'd call it a great adventure rather than an annoying circumstance. I feel cold and wet just looking at this. Thank you David for your determination to capture the scene.